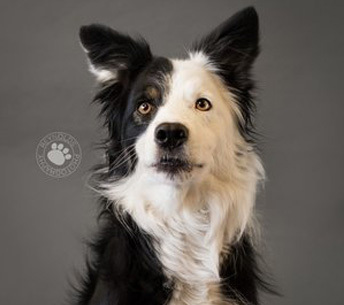 Meet the Midwest’s Most Lovable Stunt Dogs! Team Zoom Canine Entertainment is made up of the area’s top canine athletes and world-class dog handlers with years of experience. Our handlers are passionate about animals! There’s nothing they love more than working with their dogs each day, creating an incredible bond and then sharing that with the world. 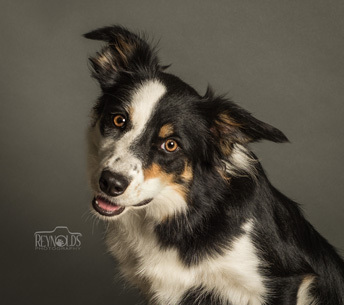 And, you can imagine how much our dogs enjoy running, jumping and performing to the delight of captivated audiences throughout the Midwest. Take a moment to get to know our incredible team – Team Zoom! 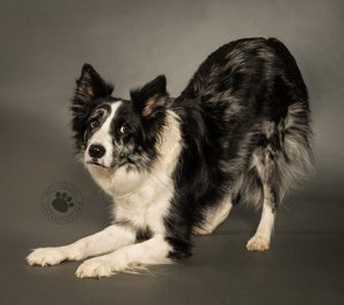 Danielle has been performing with her rescued border collies since 2007. 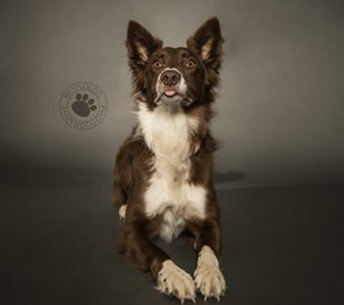 She is a world finalist with multiple dogs in the sport of canine disc. 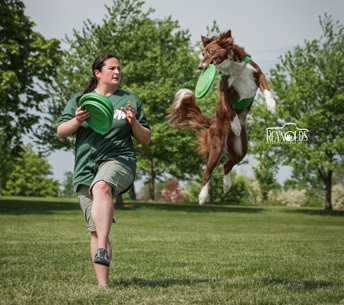 Danielle holds multiple rally titles and is a national champion women's distance and canine disc head judge. Danielle has competed all over the U.S. and Canada with great success. 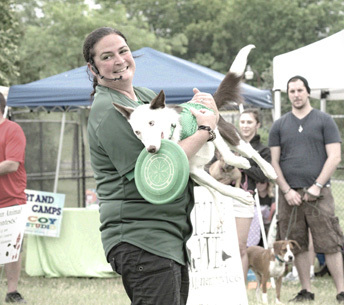 In addition to competing in canine sports, Danielle is also a Certified Professional Dog Trainer (CPDT-KSA). She is also the owner and proprietor of two dog businesses in Dayton, OH: Train Your Pup and Splash Your Pup. 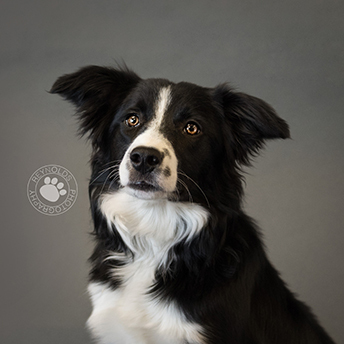 Dog rescue is a passion for Team Zoom Canine Entertainment, and the majority of our canine athletes were rescued from local shelters in the greater Dayton area. Each dog has a role on our team and everyone LOVES their job. At the end of the day, our dogs are more than performers - they are members of our family. Team Zoom dogs are all spoiled and pampered, and they deserve every bit of love and affection they receive! Sissy is truly the diva of the team and can never get enough attention. She loves to swim, play Frisbee, hula-hoop and show off her skills! Toot is a cancer survivor and is the heart and soul of the team. His favorite part of his job is getting to meet and play with the kids! 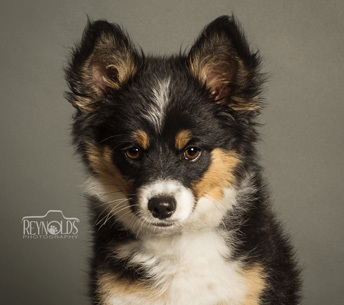 The ultimate multi-sport athlete and trick dog, Zephyr loves Frisbee, agility, and dancing. He’s always been a performer at heart and has even been in commercials and movies! 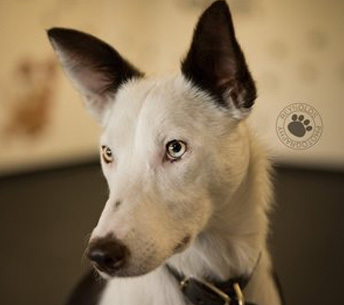 The flyer, for sure - Vibe is a small, deaf Border Collie. But, that hasn't stopped her from learning lots of tricks and having fun! She loves to play Frisbee, jump rope, perform agility, and go for swims. Ratchet by far is the most energetic member of our team, and he LOVES his Frisbee! Jumping and running really fast are his top talents, and they also happen to be his favorite things to do. 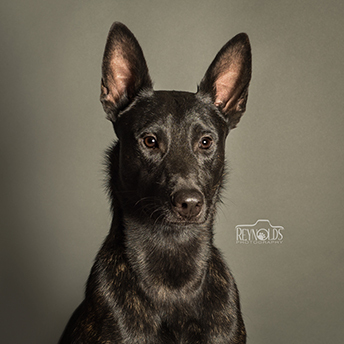 Awol is our hard-hitting Dutch Shepherd. It's always fun to see just how high he can jump. He may look intimidating, but he's a giant love bug. Legend the Lizard is definitely the goofball of our team. She loves everyone and everything, and her Frisbee skills and tricks put smiles on every face! Gruve is another star! He has been in both a commercial and a print ad. When he's not playing Frisbee or flyable during a show, his favorite thing to do is dock dive. Who doesn't love a bird dog?! 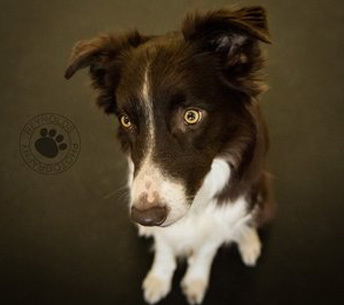 Hopper is our high jumper and agility dog who LOVES people. 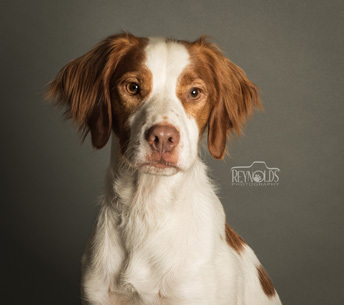 His goofy and fun-loving personality is sure to win over any crowd. A silly name for a silly puppy. Wombat may be small, but he is mighty. That's why his nickname is Wombat the Warrior! He hasn't decided what his main act will be yet, but we know it will be crazy, this little man has no fear. Mission is our Canadian girl who will do anything to please. She loves to flip and fly! She's also a great agility dog who thinks obstacles were put here just for her to climb. You'll love watching Mission's enthusiasm. 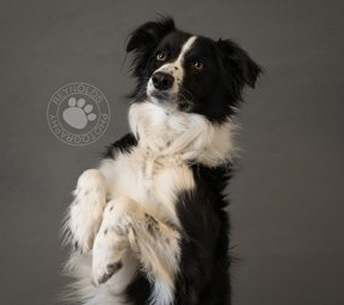 Watch Our Celebrity Pups Show Off Their Acting Skills! Now That You’ve Gotten to Know Us, Let Us Show You What We’re Capable Of!